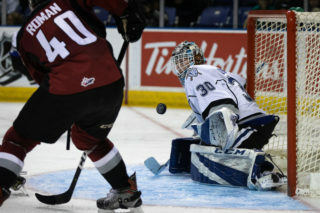 Victoria hosts Spokane this weekend; Canadian Forces Appreciation Night on Saturday. 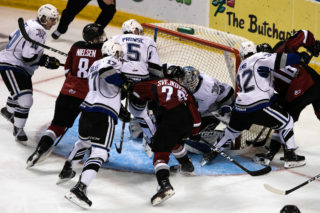 • Opponent on Friday & Saturday – Spokane Chiefs (8-6-1-2), fourth in the US Division. • Friday is Health and Fitness Night presented by Orange Theory Fitness. • Friday Tickets – bit.ly/2JJ4B6h. • Saturday is Canadian Forces Appreciation Night. • Saturday Tickets – bit.ly/2AQuZrW. • NHL Affiliated Players – Ty Smith (New Jersey Devils), Jaret Anderson-Dolan (LA Kings), Jake McGrew (San Jose Sharks), Filip Kral (Toronto Maple Leafs). • NHL Central Scouting Players to Watch List – Luke Toporowski (projected fourth to seventh round). • Any Canadian Forces member that shows their military ID at the Select Your Ticket Box Office will qualify for discounted tickets in corner, side and club seating areas. 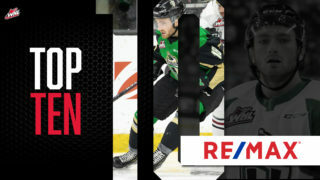 For more details call the Royals’ ticket office at 250-220-7889, or send an email to tickets@victoriaroyals.com. • Saturday – The Naden Band of the Royal Canadian Navy will be performing Star Spangled Banner and O Canada, while personnel from the Canadian Forces will be present for a special ceremonial puck drop. 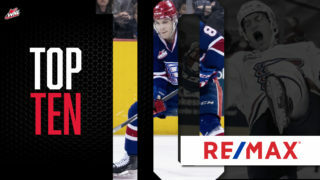 • Saturday – Military vehicles and equipment will be on display around the concourse at the Save-On-Foods Memorial Centre throughout the game. • Saturday – The Royals will wear special commemorative jerseys with the CFB Esquimalt crest on them. These jerseys will be auctioned through a live post-game auction on Saturday with proceeds supporting Boomer’s Legacy, and The Royal Canadian Legion. More information on Boomer’s Legacy can be found at bit.ly/2PjpkUo. 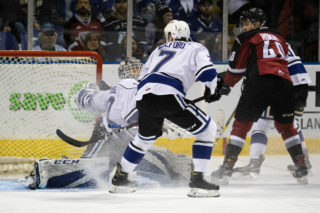 • The jerseys will also be available during select Royals’ home games, including this Friday and Saturday night, via a silent auction. 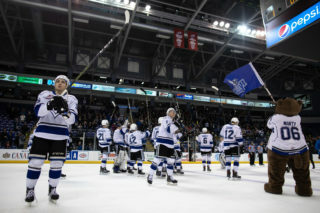 Full details and jersey auction schedule can be found at www.victoriaroyals.com/jerseyauctions. o World Junior Tickets (USA vs. Kazakhstan on Friday, December 28th). o A one night stay at Villa Eyrie Resort. o Two tickets to the Christmas Craft Beer Show. o A $150 gift certificate to Big Wheel Burger. • Friday – Second Intermission: Orange Theory Fitness Relay Race – Contestants will compete in a relay race for the chance to win an Orange Theory Fitness Prize pack that includes a duffel bag, water bottle, towel and a one month Premier Unlimited Membership. The prize is valued at $225.